I enjoy making paper jewelry every once in a while - the fact that you can make something wearable from something so flimsy always delights me. 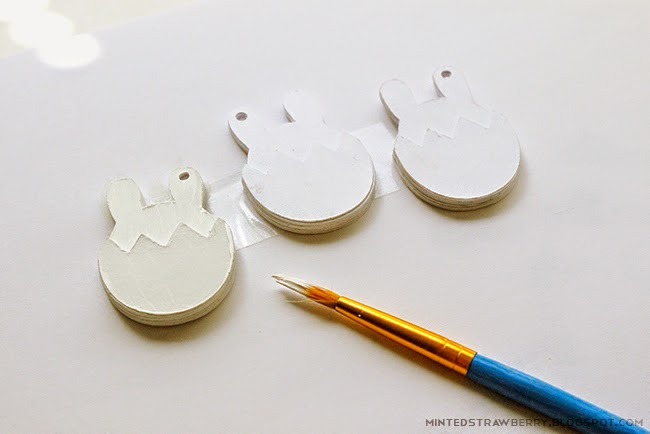 Since Easter is just a few days away, I decided to make some paper bunny-in-an-egg necklaces for my sister to give to her friends (my fiance actually suggested I make these bunnies... he's getting crafty nowadays). Crafting this with a die-cutter is so easy it's not even funny. Start by cutting your bunny template. If you're using the template, you may want to resize it first. 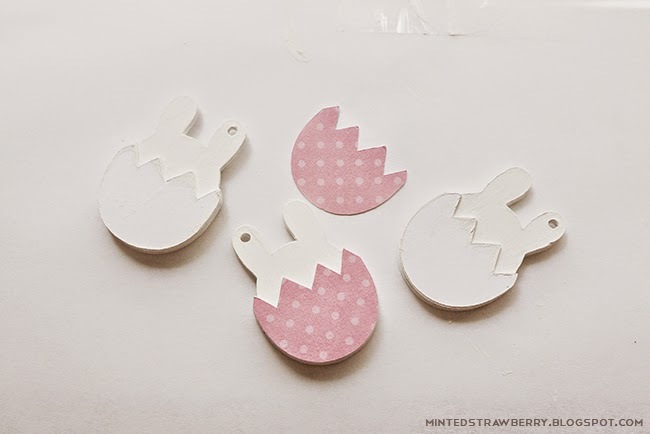 Now glue them together, layering them - for the bunny part I layered 6-7 pieces and for the egg part I layered 3 pieces (on each side). To let it dry flat, you may want to sandwich them in a heavy book (or a notebook, and then just sit on it, lol). 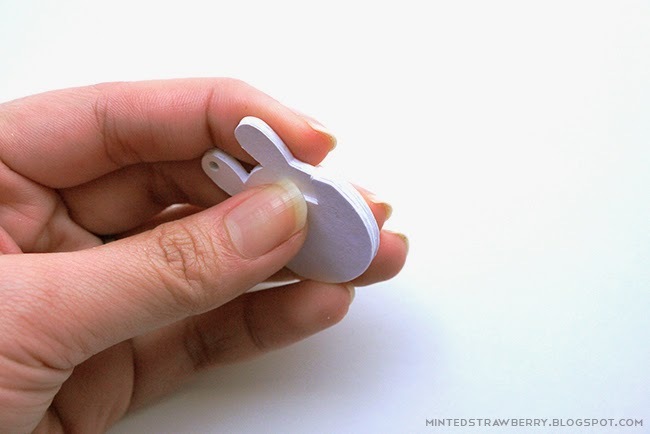 Paint your bunny parts - I painted mine white, but you may paint them any other pastel color you like. Might I suggest a light pink? 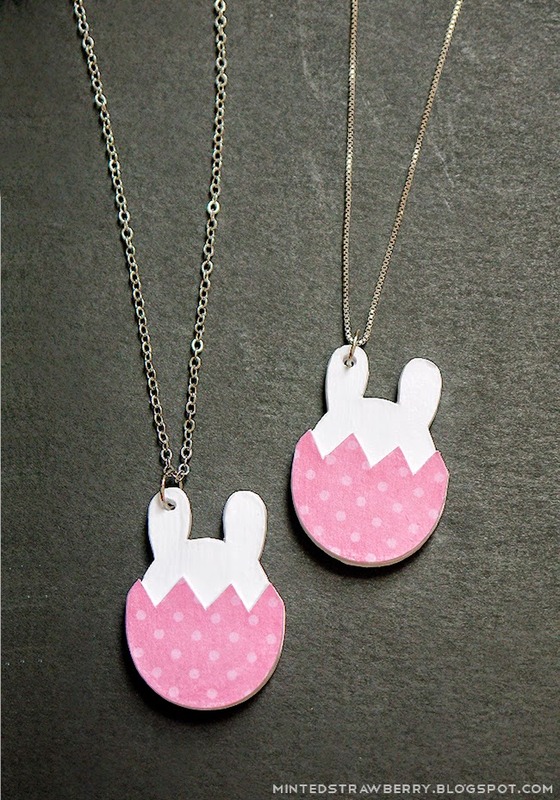 Now cut some patterned paper from the egg template, and then glue them on both sides of your bunny pendant. Apply a few layers of mod podge on each side, string them onto your necklace chains and you're done! 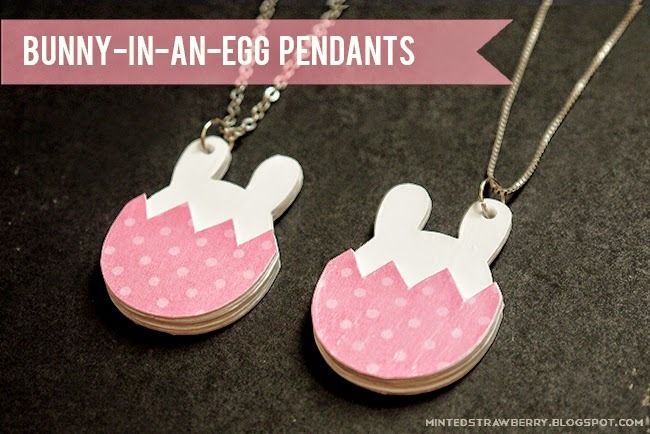 Of course you'd still want to be careful when wearing this - don't leave this near water or you'll be really sad.... Want more bunny / easter crafts? Check this link out. I hope you're still having a superb week! And if you loved this, comment/share/pin, I'd appreciate it :) Have a great day friends! Always look for ideas to keep the little ones busy during holiday parties. I think the girls would love this idea! Thanks for sharing! 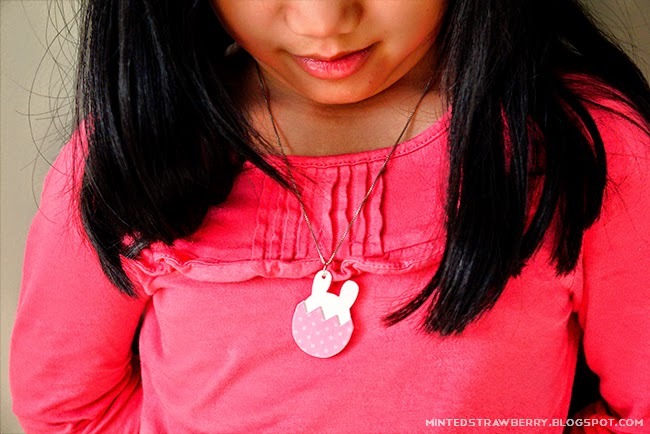 Could you add little wooden stars as charms or gold polka dots? I think if I make smaller ones I'll add gold-colored enamel dots as polka dots :) thanks for the suggestion Angeline!